I'll admit it. I love shows on HGTV and Food Network, so when I saw this book (after just reading Betsy's Bride novella) I was eager to snap it up! As before, I really enjoy Betsy's voice as an author. 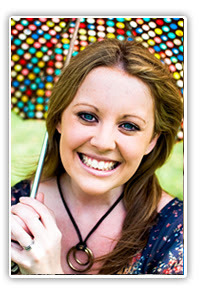 She writes engaging characters who are easy to like with just enough quirks to make them real. Her dialogue moves smoothly and often makes me laugh. And, having married my best friend, the relationship between Lucas and Kate was one I could relate to! At times I did wish they'd open up more with one another. There were moments where their internal fears or worries could easily have been solved with a good conversation. Because of that I'd have liked to see a bit more of the external conflict the show produced. If that angle had been more prominent I think I would have liked the book even more. That said, this was a fun read and I'll definitely pick up Betsy's books again. Her wit and romance are a wonderful match and as mentioned above, her characters are people I enjoy seeing on the page. 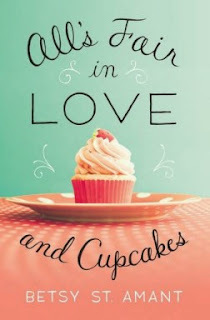 I happily give All's Fair in Love and Cupcakes 3.5 out of 5 stars. You can purchase it here. I enjoyed this one too! The angsting over each other got a little much, but the cupcake baking was pretty fun. Thanks for the great giveaway! And you're welcome on the giveaway. My phone was being temperamental with my responses last night and cutting them off! Ooh, this book sounds great! And I love the simplicity of the cover and the title font. Will be checking this one out! You've convinced me. I need to read this book. I'm not the greatest cook/baker, but I enjoy books where food is involved. Sounds like a fun read. And I love the cover too.